Leo ascendant, horoscope consultation, understand importance of singh ascendant or lagna, astrologer for minute analysis of horoscope, Birth chart analysis, Vedic astrology for analysis and solutions of problems. To check whether your ascendant is leo or not, check out your lagna kundli and see the number written in the first house. If 5 is written there then your ascendant is Leo and you are the person having the impact of Sun in your personality. In this article you will come to know the traits or characteristics of person having Leo ascendant. Singh raashi is very powerful zodiac and is known for the power. Through the horoscope analysis we can come to know that how the leo lagna is affecting our life. How the Sun is affecting our life and what to do for success as per astrology. 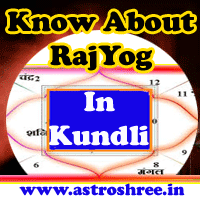 Consult Astrologer for the minute analysis of your horoscope and to know the exact tips to live a successful life as per your kundli/birth chart. The impact of lagna can be felt on every segment of life whether it is career, love life, social life, business, money etc. So studying the lagna clears many thing about life. The master of the Leo ascendant is Planet Sun. Due to the power of sun Leo lagna people are honest, straight forward, intelligent, romantic, ready to take challenge and wandering in nature too. They know the ways to make good relations with other and they also know the tricks to get the work done. As a consultant they are very rich in society. Name, fame and money automatically comes around you. People trust on these persons due to there good behaviour, clear approach. Leo Ascendat people also engage in social work and people also take advantages from them. Spirituality is also one of the main quality of singh/simha lagna persons. In Aries Sun is exalted and in kundli if surya is of uchh then definitely the person is very intelligent and spiritual and in society this type of people make a different type of positive image. If the sun is sitting with positive planets then also success in different fields come in life. This also give rise to enterpreneurship and independent nature. On the other hand If the lagna is Leo/simha/singh and Sun is malefic in birth chart then the person may suffer from eye sight problem, defame, struggle. In this case social life and personal life also suffer. Due to obstacles person faces different types of problems in life due to malefic sun. Sun represent father and therefore relationship with father suffers due to this. Sometimes health of father affected. Leo ascendant people are likely to get success in administration, social work, education sectors, travelling sector, consulting sector etc. depend upon the combination with other planets. There caring nature, supporting nature is also one of the great quality which attract the people around them. The over power or malefic power of Sun lead to ego, dominating nature due to which person suffers a lot. 1. Be with the good person which will suit you and also increase the power of your sun and you will automatically get the opportunity to get name, fame, money, success in life. 2. Don't involve in social activities in such a way that your family suffers. 3. Keep control on your emotions and feelings, don't get too much excited and don't get depressed when the work not happens as per your wish. 4. Worship Sun , give Ardhya to Sun daily in the morning. You can also chant the surya mantra for power.